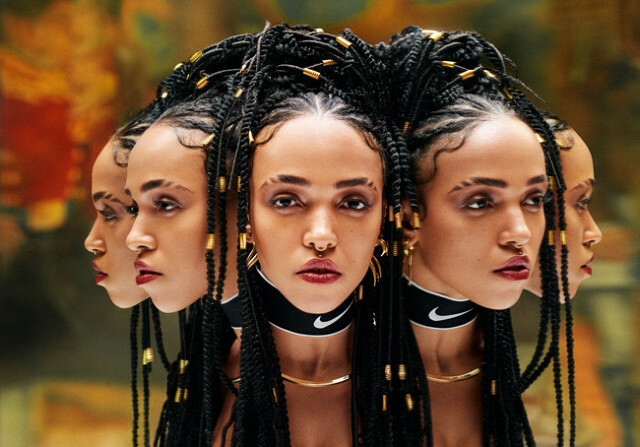 If you’re looking for something to motivate you to “Go Hard,” there’s no one to better amp you up then than multi-talented Eccentric FKA Twigs. As the creative director for Nike’s new Zonal Strength Tights campaign, Twigs has created an amazing new vision that groups Olympic athletes, track stars, and dancers alike. Said Twigs in an open letter for the campaign, “When Nike reached out to me about collaborating together on this project, I saw it as an opportunity to inspire people who want to use their bodies in a positive way.” Twigs goes on to share more thoughts about the intersection of creativity and athleticism. This entry was posted in Fashion News and tagged dancers, eccentric glow, Fashion, Fashion News, FKA Twigs, Las Vegas Blogger, Leggings, Nike, Nike Creative Director, Nike Leggings, Olympic athletes, track stars, Zonal Strength Tights campaign. Bookmark the permalink.